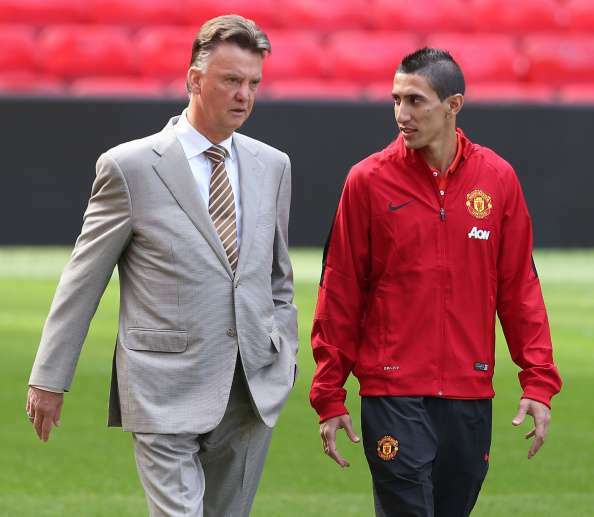 Van Gaal bought Angel Di Maria for £60 million before selling him to PSG the very next season. In what has been nearly two seasons of turmoil for Manchester United fans, Louis van Gaal remains at the helm of the club despite failing to show any kind of improvement since the failed tenure of David Moyes. The former Barcelona, Ajax and Bayern manager has turned what was once a feared and devastating United side into the laughing stock of the Premier League, a side that plays boring football and looks clueless while going up forward. Knocked out of every competition bar the FA Cup, Manchester United are barely in the race for the top four and look far away from returning to the glory days of old. Despite taking the team to the FA Cup Final, Van Gaal’s poor decision making over the past 18 months cannot be ignored, with his squad only ever showing glimpses of what they’re capable of. As the end of the season approaches, United fans can only hope that Van Gaal’s so called “philosophy” will come into effect next season, but most will be hoping the Dutchman makes a swift exit with the likes of Jose Mourinho waiting in the wings. While watching Manchester United play for just five minutes should make anyone realise Van Gaal needs to go, we came up with five reasons why a summer exit would be best for everyone involved. Upon signing a three-year contract with Manchester United, Van Gaal claimed that he had inherited a “broken squad” and has since spent a whopping £250 million on new signings. But the players Van Gaal signed have nowhere near shown their worth, at least not yet. Having first signed Ander Herrera from Athletic Bilbao for £29 million, the Dutchman has hardly used the attacking midfielder despite the United midfield looking bereft of ideas while going forward. Luke Shaw was the next to arrive at a costly £30 million, and while the young defender is most certainly a prospect for the future, fitness issues and an unfortunate leg break means the player has hardly made an impact since arriving at Old Trafford. Argentinian centre-back Marcos Rojo was the third signing to arrive at £16 million, but the defender has failed to impress and has spent a large amount of time on the sidelines. When fit, Van Gaal has often played him at left back, but has more recently preferred to play youngster Timothy Fosu-Mensah. Perhaps the worst decision of all was to sign Angel Di Maria from Real Madrid for a record-breaking £60 million, before selling the winger to PSG the very next season for £44 million. Di Maria, who was unable to settle under Van Gaal, has since shown that he is still more than capable of playing at a high level as he helped PSG to their fourth consecutive Ligue 1 title. The £6 million loan of Falcao from AS Monaco was also a disaster, with the Colombian only managing to score one goal before he was loaned to Chelsea where he has hardly featured. Having since signed the likes of Matteo Darmian, Sergio Romero, Morgan Schneiderlin, Bastian Schweinsteiger and Anthony Martial, only Darmian and Martial have impressed, with Memphis looking largely out of depth and the others either playing bit part roles or sitting on the sidelines through injury. While it’s hard to tell if United’s failings are the fault of the players or the way they’re being utilised under Van Gaal, one thing is clear - The current Manchester United squad is not up to standard, and this is all down to the signings made by the manager.